We’re committed to your financial wellbeing and success. Plus, applying for membership is easy. Complete our simple online process to get started. We provide various loan options to meet your borrowing needs. From home improvements and education to a new car or a much needed vacation, we can help you finance a loan for anything you need. 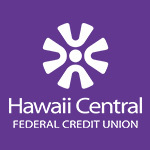 By joining Hawaii Central Federal Credit Union, you become a member-owner. This means you will receive friendly service along with benefits such as higher deposit rates, lower loan rates and little to no fees for our products and services. We welcome you to experience the credit union difference!